Quoted in full from Glenn Reynolds of Instapundit fame. 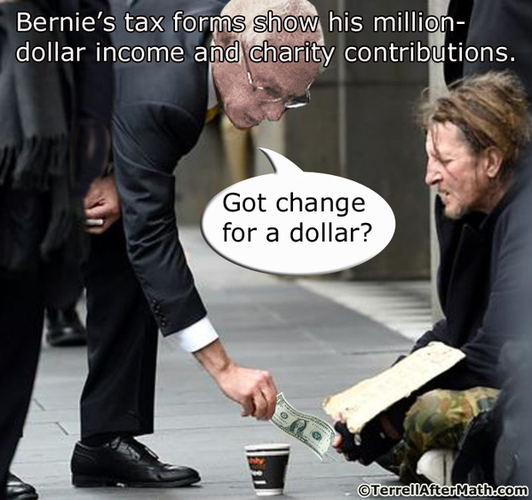 In Bernie’s defense, scrimping on donations to the needy increases his tax liability. This is a feature, not a bug. In other words, Bernie “donates” by paying more taxes to be distributed to lobbyists. Mean-spirited conservatives avoid paying taxes by funneling money to those who really need it. Glen Reynolds: “To be fair, I don’t think there’s much question about her patriotism. Max Eden writing at the City Journal has an article about The American Educational Research Association’s (AERA) annual conference beginning this weekend in Toronto. 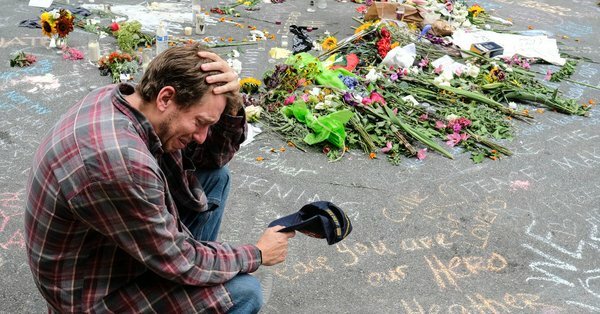 The conference, to be blunt, has devolved into a gathering of credentialed but stupid academics who have subsumed their mission to educate in favor of the latest Lefty racism trope – whiteness and privilige. “Whites” and “whiteness” are not the problem. The SATs and other test scores tell the story. Since the mid-1960s, whites have been dutifully helping to make schools more equal by getting dumber every year. The real problem is Asians. Let’s hope the next education conference deals with “Asianity,” and its disturbing quest for excellence.